There's a few spots left for Enchanted Airlie! 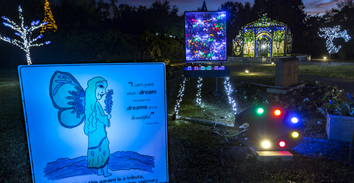 This is the 13th year of Enchanted Airlie. Guests will experience a 0.5m stroll through the Gardens, on a self-guided walking tour while feasting their eyes on a spectacular array of lights and holiday displays. Also in attendance, Santa Claus himself, and a few local food and beverage vendors with hot chocolate, popcorn, cookies and more! Buy tickets here. Gnome Sculptures Go on Auction! Did you fall in love with the gnomes like we did? Now's your chance to own one of your own! The Gnomes from the Gnome Invasion Art Exhibit at Airlie Gardens have gone on auction. Go online to place your bids. Bids start at $1,500 or you can 'buy it now' for $4,500. You have until December 31st to bid! 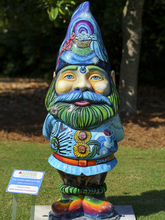 You can see the gnomes in person at Airlie Gardens through December 31st. Join us for the Ability Garden's Annual Holiday Sale on December 1st. 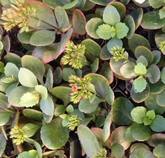 Beautiful poinsettia's available, as well as herbs, houseplants and succulents. They make wonderful gifts! All proceeds will benefit the Ability Garden and the horticulture programming. Located at the Arboretum. Gift shop will be open from 9am-3pm. The fourth annual Quiet Visits With Santa will be held at Airlie Gardens on Saturday, December 8th (9 -3 pm) and Tuesday, December 11th (12-3 pm). Saturday is full but there's still spots on Tuesday! Children can take part in a holiday tradition through peaceful one-on-one visits without the chaos and loud noises that come with large crowds. Visits are by appointment only and space is limited! Please call the Clinic for Special Children at 910-319-7744 for an appointment! 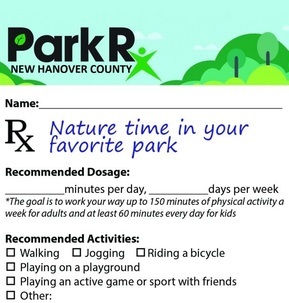 Did you know that reducing the risk of chronic disease while increasing health and happiness can be as easy as spending time in your favorite park? Check out our website to learn about the ways you can get your exercise and reduce the risk of disease in your county parks- all for FREE! Join us for the Park Rx Nature Walk on December 1st! Our environmental educators will take you on a one-mile nature walk through Pages Creek Park Preserve and learn all about the salt marsh, and the animals and plants that inhabit the preserve. There is no cost to participate, but pre-registration is required. Pages Creek Park Preserve is located at 1215 Middle Sound Loop Road. Kings Grant Park basketball court and playground installation are complete, and the picnic shelter is under construction! Veterans Park Orange field has been converted to a full-size rectangular field. Northern Regional Park Red & Green field drainage project is in progress. Visit Parks.NHCgov.com or follow us on facebook for updates on these projects and more! N. College & King Rd.